For more general information about Wind Wheels you can visit this comprehensive site dedicated to Australian spinning wheels. If you have information that is not contained on the site, please contact the site administrator (detailed on the site). 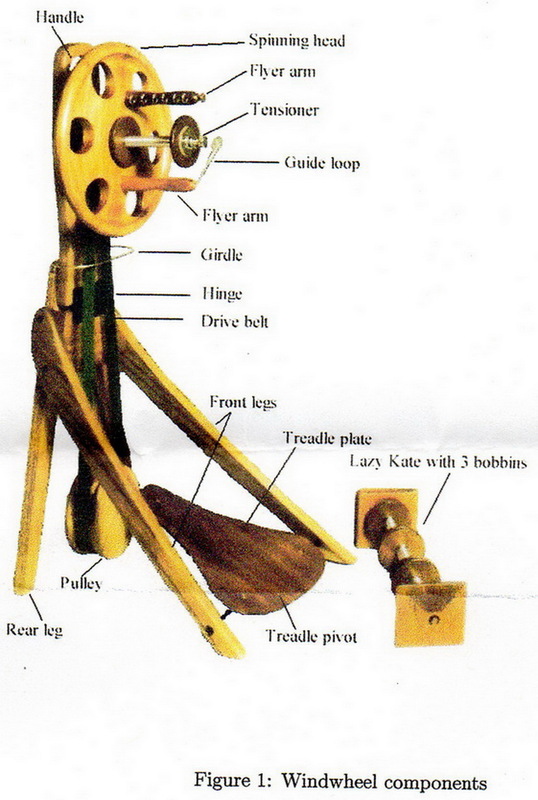 Wind Wheel assembly instructions pdf. Spinning on the Wind Wheel pdf. Colour diagram of the Wind Wheel pdf. 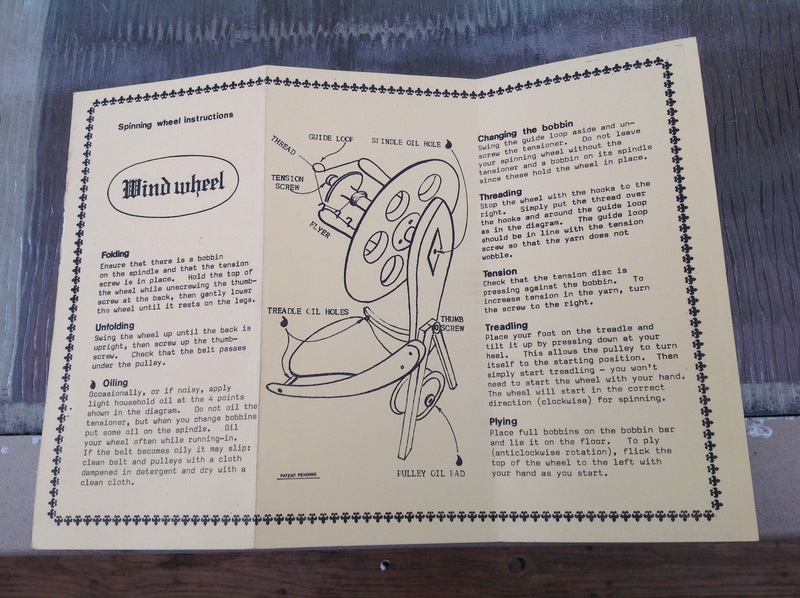 Original Wind Wheel instructions pdf. Hi. I have a Geoff Fenton wind wheel made in 1986. It is identical with the one shown on Mels Natty Knits website. We have owned it for more than twenty years, but have not used it in the last ten years..It has the original assembly instructions and spinning wheel instructions. I am sure it is made from Huon Pine. Also has the usual four bobbins, niddy noddy and a lazy kate. It appears to be a collector’s item and wonder of it’s value for a sale. It also comes in it’s own canvas carry case. We will be in Caloundra in October and would like to visit to see your collection of wheels. Hi Margaret, The wind wheels tend to sell quite well second hand. Mine was only $200 (I was very lucky to get it that cheap from a Gumtree seller). I recently saw one sell on Ebay for $350 which was made in 1981. It also had the bobbins and lazy kate plus the original instructions but not the carry case so that may give you a bit of an idea. You could also try Gumtree and place your own price on it. Can you email me via the Contact Me page on my website regarding your trip to Caloundra in October and we can take it from there.